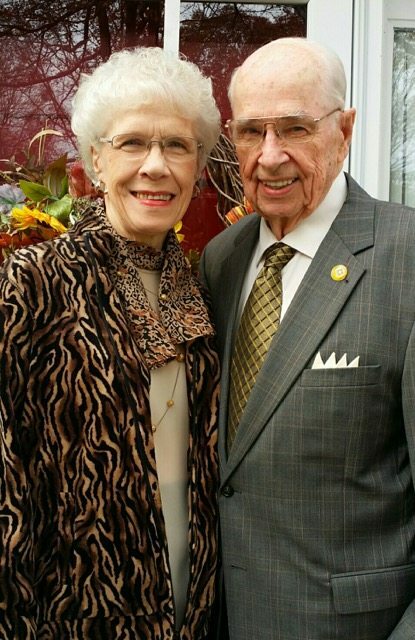 Paul and Linda are pleased to have served with Armed Forces Baptist Missions since 2004. Formerly representatives, they now travel as evangelists with AFBM. Paul is a native of Culpeper, Virginia. He grew up with a strong work ethic, having to drop out of formal education after the sixth grade in order to help his father on the farm. He joined the Army and served for twelve years. His Army career was cut short after some trouble with wounds received during the Korean War. It was after he returned home from the Army that he was saved and met Linda Pace, who would become his wife. He attended Christian school and college. He has pastored in several states for over forty-six years, and has been preaching for over sixty years. His last pastorate was at Tidewater Baptist Temple in Chesapeake, Virginia, where he served for over twenty-seven years. Pastor Hawkins stepped down as senior pastor in December 2004, and has served as a representative, and now an evangelist for Armed Forces Baptist Missions. Linda was born in Reidsville, North Carolina. She attended public school in Reidsville until her junior year in high school when she moved to Zellwood, Florida. Upon graduation from high school, Linda furthered her education at a junior college, a university, and a Christian college where she received a BS degree with a double major in Elementary Education and Christian Education. She has had an active role in assisting Paul in various ministries in the churches where he has pastored and as he continues to speak as God opens the door. Paul and Linda now reside in Reidsville, North Carolina. They have two daughters and five grandchildren. God calls AFBM missionaries to serve in unique ways around the globe. Maybe He is calling you to have a special role in Paul and Linda’s ministry. Please pray about partnering with them through prayer and/or financial support. Contact the Hawkins family to learn more about their ministry.